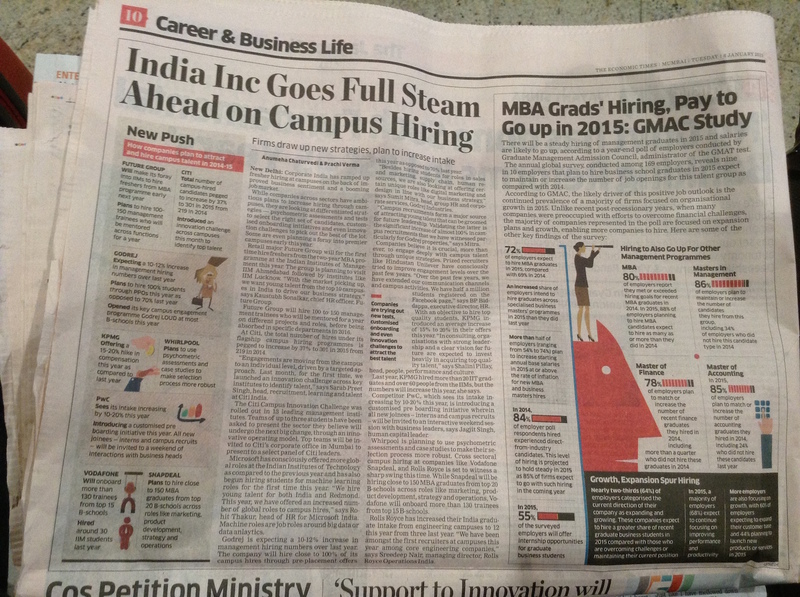 India, time for a definitive new course to real progress? During the first two weeks of the year I have been travelling extensively across India with my friends and colleagues Samit Naik and Walter Sciacca (co-authors with me of the upcoming book ‘Fast Track Innovation’ www.fasttrackinnovation.it ; lots of the traveling was relevant to interviews and meetings that will be featured in the book itself ). We have spent time in several cities and we have had the opportunity to observe many things that are currently happening in India perceiving clearly a momentum for change in progress. Prime Minister Modi has coined a slogan “Make in India” focusing on the fact that manufacturing needs to get back to actually boosting a concrete economic growth. 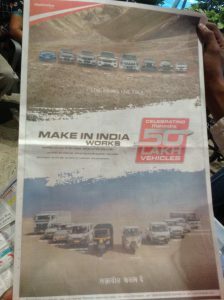 For example, companies as Mahindra (automotive) point out that this is actually happening by advertising on main national newspapers the production record that they achieved amounting to 5.000.000 units. In addition, the educational context directly related to economic development is growing at full speed with companies clearly seeking higher level skills and talents. The focus in not only on technical subjects but also on managerial and economic ones signalling the concrete drive for an overall industrial and organizational growth. There is no doubt that something is happening; change is in the air and its progress is gradually perceivable. We have had several meetings with business people in various sectors and organizational contexts and all of them pointed in this direction. 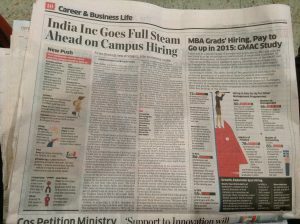 Yesterday even The Times of India has published an article highlighting the same trend “India’s growth to reach 6.3 per cent in 2016: UN report” . Prime Minister Modi is perceived has the energetic and focused leadership driving and stimulating these changes. 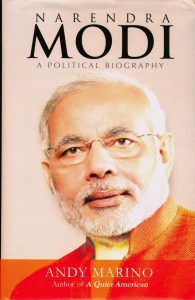 I am currently enjoying reading his recently published biography by Andy Marino “Narendra Modi. 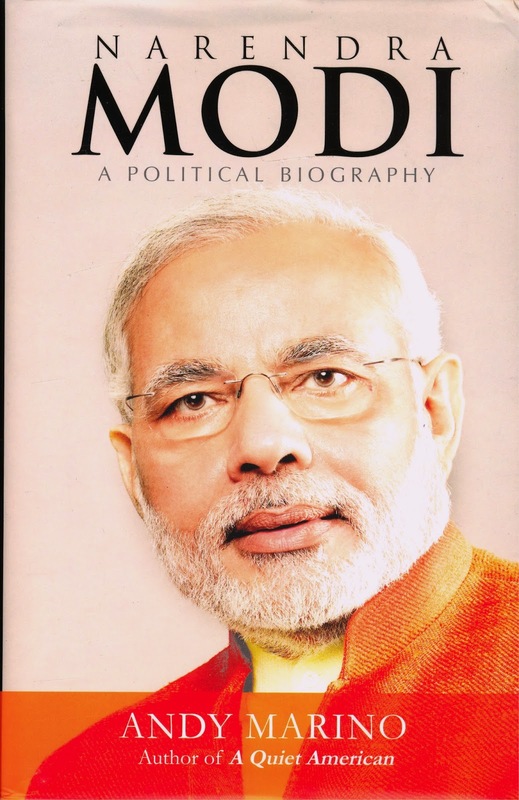 A political biography”, pointing out that “innovation – doing things better and smarter – engages and animates him”. I invite everybody to get more acquainted with the way he developed his path to political prominence and is currently implementing organizational and managerial policies. The focus is set to giving the opportunity to public servants to discover and give their best rather than getting stuck within the same dynamics of stale bureaucratic routine. A kind of routine that is too often double knotted in corruption practices representing a heavy cultural and practical burden to economic development. For good or bad, this is represents a new way to frame and manifest the organizational role of government to the concrete development of a country. No matter what kind of progress actually happens in India, or the speed of it, many of the actual managerial practices Modi utilizes over the inner working of government should be closely analysed by many other countries. Let’s stay tuned to closely observe trends, facts and outlooks. Happy Holidays to everyone and a Fantastic Vvery Special 2015 to all !!! Happy Holidays in a Special Racing Way! On Wednesday December 17th I had the opportunity to be part of the Fp4batiw project http://www.fp4batiw.eu/ (Fostering partnerships for the implementation of best available technologies for water treatment & management in the Mediterranean) with about twenty people coming from many of the Mediterranean countries (professors, researchers, leader of development business institutions alike). 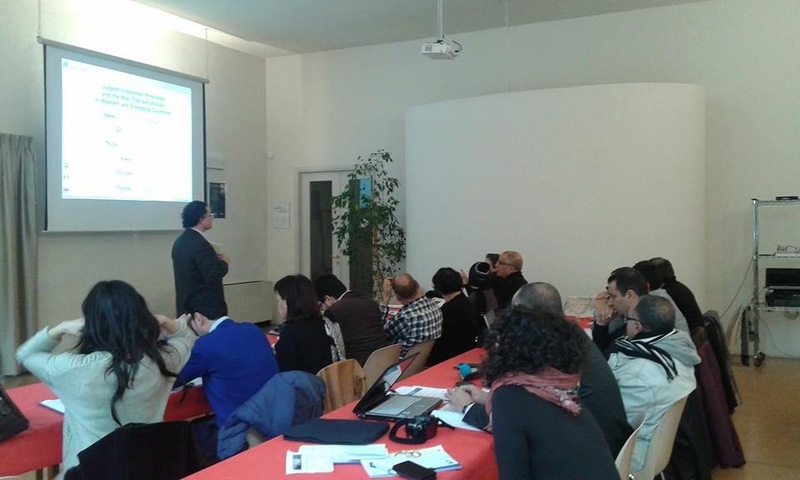 The project is organised by the innovation center Innovabic – Messina Italy. 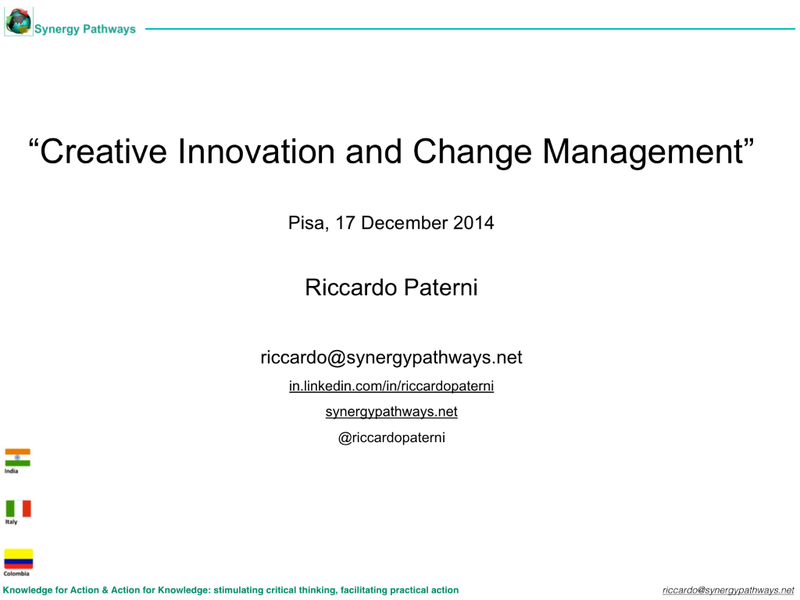 I lead a one-day seminar with them on the topic of “Creative Innovation and Change Management” choosing to focus on concepts and practices of unstructured innovation (in particular Jugaad innovation) linked to the structured one. Once again, as it has happened and it is happening in different countries throughout my career as international public speaker, it has been revealing to realise that it is possible to instil energy and ‘off the wall’ focus even within experienced academia enviromnets traditionally considered as set in their ways and somewhat conservatives in the way they approach such events. When together we are able to open each other minds, it has been fantastic to generate new perspectives and ideas while enjoying each other company and getting to know each other. The Mediterranean basin no doubt offers many opportunities to contribute to economic and even social development and progress (and the definition of progress I mean is the one enabling the majority of the people to express and reach the very best of their potentials). In the near future I feel that is an additional direction I would like to focus on. 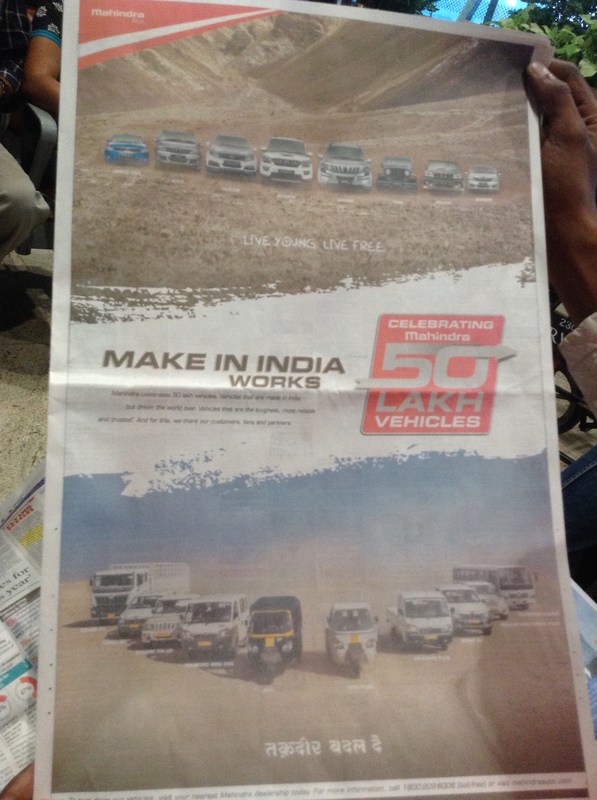 A fresh, racing like, roaring way to look at innovation!… stay tuned! 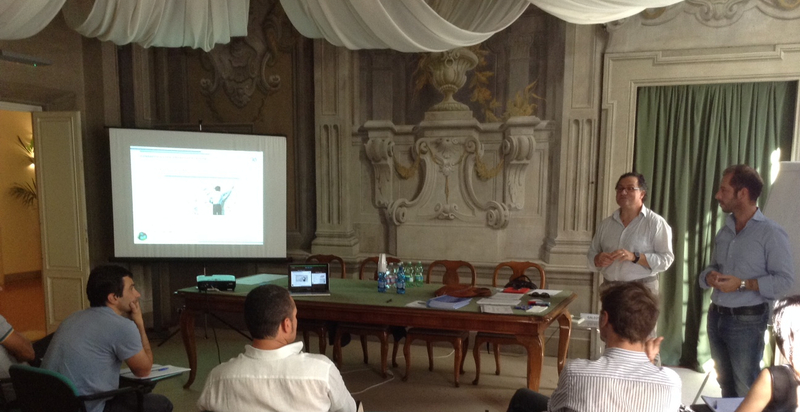 The book “Innovazione a tutto gas!” (innovazioneatuttogas.it) (title translation: Innovation Full Throttle!) has introduced a new fresh way to look at innovation inspired by the past, present and future of Motorsport. 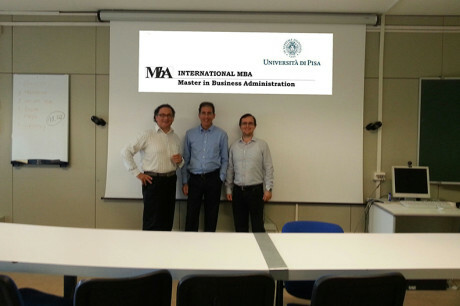 The University of Pisa International MBA continues its path to connect even stronger to the actual global dynamics of business involving entrepreneurs and managers with a concrete global vision. 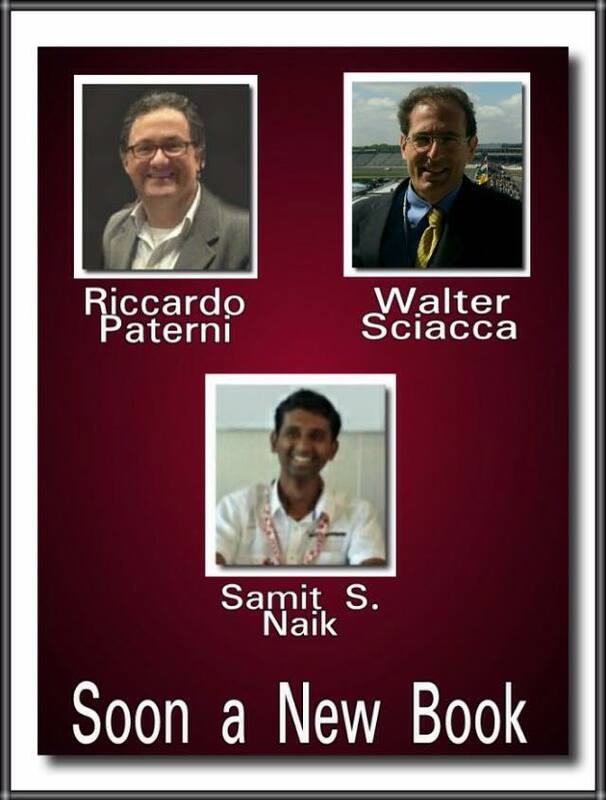 A new entry to the MBA as a speaker is the International Motorsport entrepreneur and manager Walter Sciacca. 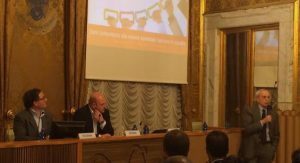 Walter Sciacca relatore all’International MBA dell’Università di Pisa 2015. Cinque anni di successi, cinque continenti, cinque specificità professionali prevalenti: è con questi presupposti che si prepara a partire la nuova (la sesta) edizione del Master in Business Administration (MBA) dell’Università di Pisa. Tra le punte di diamante dell’Ateneo pisano, l’MBA si sviluppa nell’arco di un anno, è totalmente in lingua inglese e, tra i propri palmarès, annovera la più alta incidenza di studenti stranieri (oltre il 90 per cento), provenienti da tutti i continenti e in possesso di background professionali che spaziano tra vari settori: ingegneria, economia e finanza, scienza, organizzazione, comunicazione. Dan Peterson. Coaching made straightforward, cherokee style! On September 30th I have been invited by the Industrial Association of Lucca to contribute to a seminar lead by the famous basketball coach (active from1962 to 2011 and legendary in Italy for impressive international wins achieved with Bologna and a Milan teams) Dan Peterson. Nowadays he is journalist and a popular inspiring public figure regarding the overall fields of teamwork and leadership. It has been a pleasure to have the opportunity to interact with him together with the journalist Alessandro Petrini, himself an expert in basketball and coach. Peterson (he likes to be called simply ‘Coach’) is famous for his direct dynamic way to communicate, his sense of energy is very contagious and this is already setting me very comfortable and at ease with him. I have been contributing to define the title of the event: “Bring a sense of concreteness to vision: the role of teamwork”. I meet Coach outside the beautiful Bernardini Palace in downtown Lucca. Both of us are early and he is walking impatiently back and forth. That’s him! No doubt! I introduce myself and he gives me one of his penetrating glances, I sense right away we understand each other and we are on ‘set for the show’. I need to go in other offices and I meet again him and his entourage right before the beginning of the event. The rooms of the palace still have the unique pompous decorations dating back to many decades ago. All is set and ready. 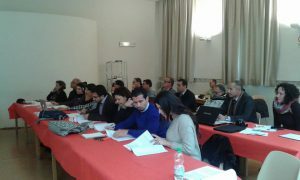 The audience is mainly made by Lucca Young Entrepreneurs and the Director Andrea Vanni makes a brief welcoming speech. 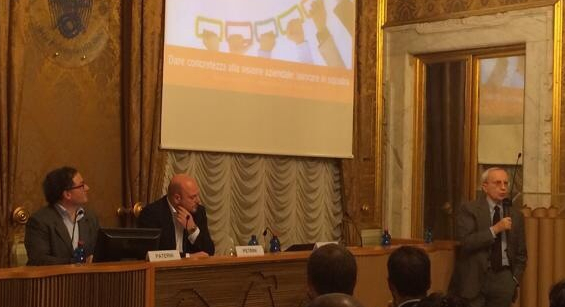 Petrini introduces the event and we start to exchange thoughts related to vision and teamwork linked to sports. He has many interesting things to say about basketball. He makes a reference to my latest book and I focus on an example of current dynamics that are not effective in Motorsport for the still unclear vision and the continuously shifting roles: Ferrari recent much brisk and much discussed succession at the helm of both the company manufacturing cars and the Formula 1 team. The stage is now ‘warm’ and set for the entrance of the Coach as according to plan. He walks in fast greeting the audience with his unique american accent made popular by unforgettable TV commercials dating a few years back. He glances at Petrini and myself, we are eagerly sitting at the table behind the podium (no way he can sit! regretfully I have to respect a minimum of protocol that the place deserves and I have to sit there): ‘come on boys start asking questions I can answer anything, almost anything”. Here we start the show! His style is brisk, filled with anecdotes that he also exemplifies by moving around and even making basketball steps and moves to reinforce and exemplify teamwork ideas he points out. Open mind to gain awareness He points out that for him it all began with the almost fortuitous opportunity to work as a coach for the Chile basketball team for a few months until the demise of Allende. Born and raised within the insular to the globe (as he points out) certainties of midwest America, he stresses hat he has learned from Chile much much more that he has taught there: such a different culture has opened his mind towards the world and new ideas. A first essential step towards self awareness, an aspect that he stresses as crucial to anything we are set to do. He is clear, concise and simple (not simplistic) in the way he states things. What coaching is all about 1) Pretending from the players 2) Give them a sense of confidence. In other words, continue to set higher and higher standards and make sure that they feel that can achieve them. Communication as key: the powerful one Peterson considers communication as a key to any real teamwork achievement. It is essential to look at people in the eyes for clear heart to heart conversation making sure to be sensitive in detecting and promptly addressing in a caring and straightforward way issues that trouble the minds and emotions individual team players. The ‘human touch’ is a foundation for it all and it is evident that Peterson has gained this through his intense multicultural experiences on and off the playing field. In communicating keep everything simple, focus on three concepts at most but make sure that they are understood, fully understood, and become part of the way of thinking and acting of the player. As a coach do not overcommunicate because this simply sends messages of fear to the team, the team has to be protected from fear, it needs to be driven by high standards and an increased sense of confidence. All is flowing and dynamic today, yet some key principles stick… Coach looks straight in my eyes and asks for one more question, we all sense it is going to be the last definitive one. I state that many things he is stating related to working in a team set on defined models and actions; at the same time nowadays organisations confront themselves with continuos changes in a very dynamic way and this certainly impacts teamwork. Earlier I had pointed out that to me there are two levels of teamwork: the daily one related to tasks performance (for example changing tyres in F1 in 2 seconds) and the strategic operational ones concerning vision and its implementation (the one were Ferrari F1 is failing now). Nevertheless I underline that some key principles he points out represent essential foundations even for nowadays workplaces. He acknowledges my thinking matching it with some examples while briskly walking towards the audience. The cherokee way He ends the meeting with a special positive uplifting greeting made with a sign language that he translates into words. He says that 1/64 of his blood is cherokee. Cherokee communicate in sign language in a way that is straightforward, direct, self-assured, personable, simple and inspiring at the same time. That is exactly Coach! That 1/64 of cherokee blood is possibly the one taking over and that gives him his unique sense of identity and contagious energy. Thank you for the lasting lessons Coach! 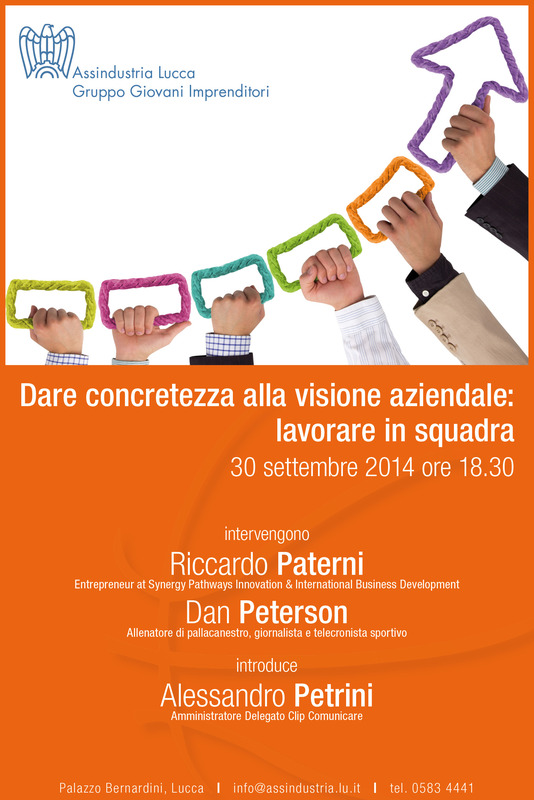 Un evento da non perdere con il mitico DAN PETERSON! Avrò il piacere e l’onore di integrare riflessioni e idee con lui, le sue esperienze e il suo stile inimitabile! Assieme al collega Andrea Morici (anche lui autore e blogger Lifeplan) abbiamo curato questo seminario presso Assindustria Lucca il 16 di settembre. E’ stato molto interessante confrontarci con aziende piccole e medie che stanno introducendosi, o già si sono introdotte, sul mercato globale e approfondire non solo i tipici aspetti riguardanti lo sviluppo strategico e pratico di questi progetti ma anche tutto ciò che riguarda le dinamiche di leadership, comunicazione e lavoro in gruppo che sono alla base di queste importanti scelte aziendali. Scelte che oggi rappresentano sempre più un percorso obbligato non solo per la crescita ma anche per la sopravvivenza di molte realtà organizzative. 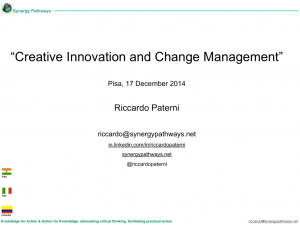 In particolare abbiamo evidenziato come le dinamiche di innovazione (collegate anche all’approccio pragmatico, e raggiungibile da molte aziende PMI, evidenziato nel libro “Innovazione a tutto gas!” innovazioneatuttogas.it ) e di cambiamento rappresentino strumenti chiave a qualsiasi progetto di internazionalizzazione. Assieme ad Andrea faremo altri seminari su queste tematiche in altre zone d’Italia. Cambiamento, innovazione per internazionalizzazione! Somehow I always find myself ‘sleepwalking’ into bookstores; no matter what part of the globe I am there is some sort of unique magnet in me regarding bookstores. Even if I mostly read books off the Kindle App on my iPad, I still enjoy walking to the cash counter with an actual paper book that somehow stuck to my hands. This time around I was in Orlando – Florida and the book was “American Rebel. The Life of Clint Eastwood” by Marc Eliot. “Go ahead, make my day!” is the famous quote by Eastwood’ Inspector Harry Callahan, a rough and very direct character. Eastwood has made his day by showing the courage to go well beyond the profession of actor, a profession he was able to carve for himself after a struggling start from the scratch. 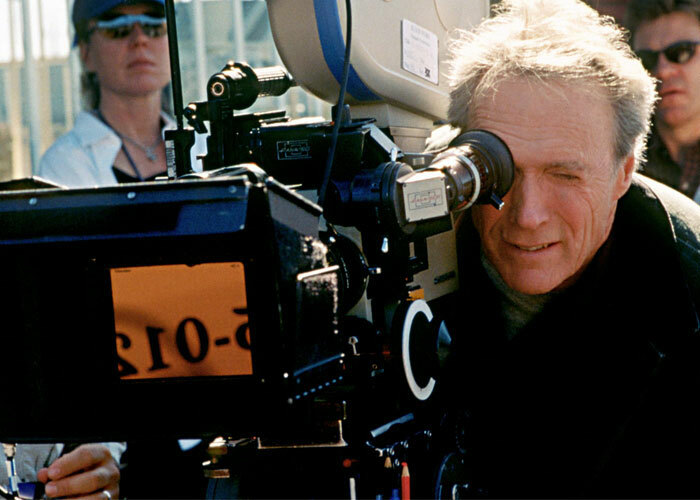 Clint Eastwood: actor, producer, movie director … everything at the very top! I have always been fascinated by his somewhat mysterious versatility comprised in his stare. I always thought that there was more to him that a way Sergio Leone (whom directed him in the legendary ‘spaghetti western’) described his acting: “He has two acting expressions: one with the hat, the other one without the hat”. He started his career from nothing (and with nothing) as a C level movie actor; he had the good looks and he was in the right place within the right geographical networks: Hollywood and Los Angeles. After a few years he got a role within a popular cowboy US TV series: “Rawhide”. The series got notoriety in several countries outside of the US; in Japan TV viewers got fascinated by it and Clint begun to experience what being an international movie star meant. Years ahead he would become more and more used to it becoming, during the ‘70s, the number one movie star in the world making himself and many people in Hollywood rich in the process. Eastwood versatility has been shown by the many roles he has played through his career but mostly through the fact that he, very early in his career (during filming of the “Rawhide” series), got himself involved in the overall movie making process: from selecting the script, to contributing to its screenplay development, to learning all that there was to learn ‘behind the scenes’ (often sticking around with backstage workers to ‘learn the trade’ while other actor colleagues already had taken off a headed towards more relaxing times). Eventually this lead to four Oscars: two for best movie (‘Unforgiven’ – 1992 and ‘Million Dollar Baby’ – 2004) and two for best director (still ‘Unforgiven’ and ‘Million Dollar Baby’). He never got the best actor award but his lead-role in ‘Gran Torino’ – 2008 (once again a movie made by Clint involving also his very own production company – Malpaso) was unanimously deserving one (expect for the Oscars inner circle…). This has got me thinking about how many of us have the courage ‘to go for it’, telling to reality “Go ahead, make my day!” not in arrogant aggressive way, just in humble and determined one; focusing on continuos learning and maintaining a vision for self-growth and progress no matter what. Our challenging times increasingly demand for this kind of attitude and mindset. “Let’s go ahead! Let’s make our day!”.